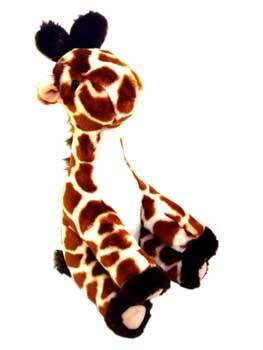 Soft toy giraffe, sitting. This is the current favourite- a big cuddly item which retains that essential neck. Classic colours, excellent for all-round appeal.